WHAT TO BE PREPARED FOR: The terrain at Lynch Canyon can be difficult. All ages are welcome, but those with health, breathing or balance issues should consider an easier hike. Participants on this hike must be prepared for the following: A potentially strenuous pace hiking 4 to 6 miles up and down slippery, steep, and rugged hills that may be full of sticky seeds, thorny plants, and poison oak. (There are very few trails and those that do exist are unimproved—expect rough, rocky, uneven ground.) (4) These are working ranches where free-range cattle roam as they please. (5) Visitors must be accompanied by a docent at all times. (6)The entry and exit gate will be locked except for the start and end times of the hike. (7) There is no drinking water.. (9) In order to protect wildlife, cattle, and rare plants—and for your pet's safety—dogs are not allowed. (10) Take only pictures, leave only footprints. (11) Maintain a safe distance from cattle and wildlife, and be aware that this is tick, mountain lion, poison oak, and potentially rattlesnake country. WHAT TO BRING: (1) Hiking boots or trail running shoes with good grip (to prevent falls on the slippery, steep, rugged terrain). (2) Long socks pulled over long, sturdy pants (to protect your legs from thorny plants and any poison oak, and to make any ticks more visible so that you can brush them off you). (3) Protection from the elements—sun (sunscreen, hat, sunglasses), wind, fog, rain. (4) A backpack with plenty of water and snacks and/or a bag lunch. (5) You may also want to bring hiking sticks (to prevent falls), gaiters (to further protect your legs from thorny plants), bug repellent, binoculars and a camera. MEETING PLACE: Gravel parking lot at 3100 Lynch Rd. WEATHER PLAN: Only heavy rain or high fire danger cancels—call Linda at 707-495-3205 if the weather is uncertain. Click the "Register" button below. You will then receive an email with a copy of this form, confirming your successful registration. Thank you! 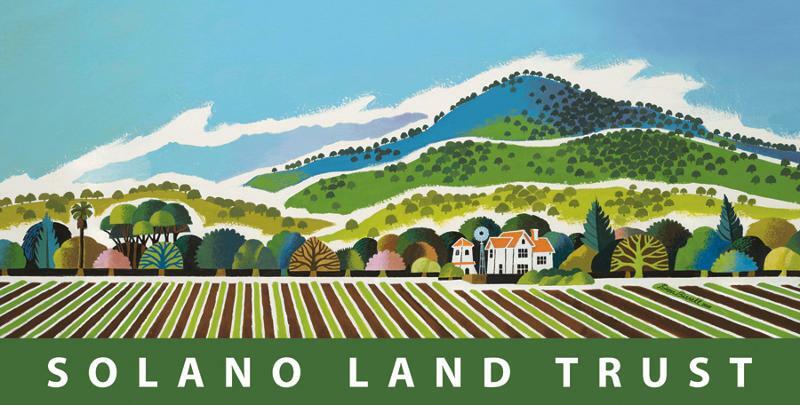 Yes, I would like to stay in touch with Solano Land Trust!